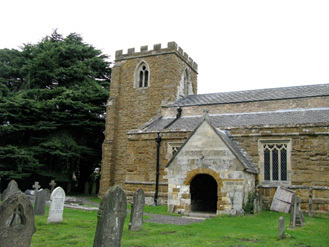 Our Tenney family descendants seem to revolve around Great Limber, Lincolnshire, England from the time of about 1510. Jeannie and I visited England last September 2010, as you know. 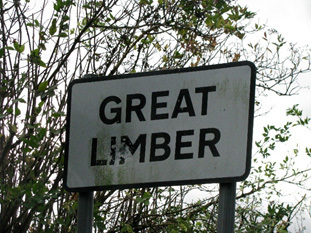 Before we traveled to our famous Rowley, Yorkshire, we spent some time in Great Limber, Lincolnshire. Our Genealogy, Volume I, page 242, lists our and Thomas Sr.’s descendants as having come from Great Limber as far back as 1510. For reference, Rowley, Yorkshire is located in the northerly direction, on the other side of the Humber River, about 18 miles from Great Limber. From Lincoln, we rented a car and drove the approximate 35 miles to the village of Great Limber. From our reading, we knew that this area, even back in the mid and late Middle Ages, was heavily agricultural. It was the food basket of England, even back then. And it showed as we approached Great Limber. Large plowed, rolling hills as far as the eye could see. We finally entered the village and drove by the small school and adjacent pond. We stopped at the Village Shop at the intersection to inquire. There we met the owners, David and Jayne Irons, very pleasant folks indeed. I suspect that some of the Tenney clan that may have previously visited the area may have met these folks. After some discussion of the area and the purchase of some beer and other goodies from their shop, Jayne gave us the key to the church. We checked all the gravestones in the churchyard, but found none prior to the early 1800’s, and no Tenneys. David Irons later told me that cemeteries in England are re-cycled, so if any of our descendants are buried there, there are no gravestones indicating such. 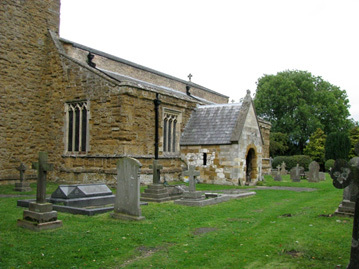 We should have checked cemeteries in the Riby area and the archives in Lincoln, but sadly, we ran out of time. I could almost feel the ancestors speaking to me (or maybe that was Jeannie hollering to me from outside). 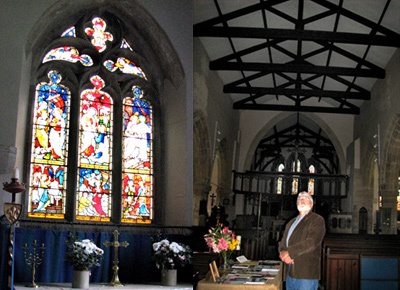 Either way, I was very impressed and quite overcome in being there, the likely place where our ancestors Henry 1510, Yeoman Thomas, Husbandman John 1567 and our progenitor, Ensign Thomas 1614, likely attended church during those times of 1510 until 1630 something.